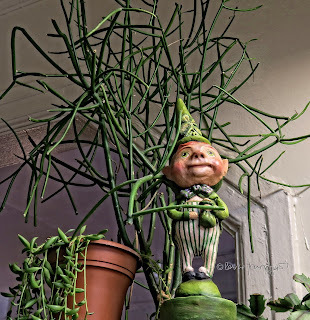 Oscar Fingal O'Flahertie Wills Wilde, the Irish playwright, novelist, essayist, and poet is on the mind — as well as in the heart — of yet another visitor to my succulent garden. 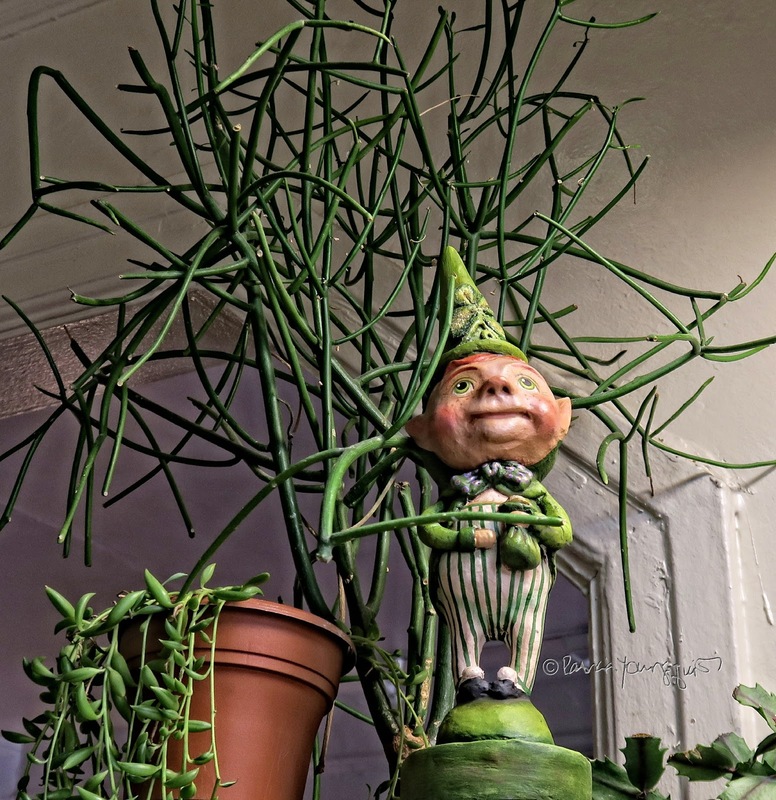 He is pictured here — in my succulent garden — standing below my pencil cactus, and where he told his comrades,*"fifteen things (they) probably didn't know about leprechauns." He thought they'd appreciate knowing this information, given the fact that Saint Patrick's Day (March 17) will be here in six days! And before he told them fifteen things that they probably didn't know about leprechauns, he reminded them that "It is a very sad thing that nowadays there is so little useless information," which is a quotation attributed to Oscar Wilde. 02. THERE AREN’T ANY FEMALE LEPRECHAUNS. 03. THERE’S A LEPRECHAUN COLONY (IN PORTLAND, OREGON). 04. SOMETIMES THEY ARE RED. 05. THEY HAVE A TROUBLESOME COUSIN. 06. LEPRECHAUNS ARE THE BANKERS & COBBLERS OF THE FAIRY WORLD. 08. THEY CAN BE GENEROUS IF YOU’RE KIND TO THEM. 09. SOMEONE CLAIMS TO HAVE FOUND THE REMAINS OF AN ACTUAL LEPRECHAUN. And with that dear reader, if like Oscar Wilde, you feel that it is a very sad thing that nowadays there is so little useless information, now you have some! 4. The leprechaun with a buckled-hat.